This week: new books from Stephen King, Charlaine Harris, Michael Connelly, and more. LAPD Det. Renée Ballard, first seen in 2017’s The Late Show, makes a welcome return in this outstanding, complex police procedural. Relegated to the night shift at the Hollywood Station following a sexual harassment suit against her former lieutenant, Ballard works her cases with a quiet focus and intensity. Late one night, Ballard surprises a man looking through some old case files. It turns out to be retired LAPD detective Harry Bosch, now working cold cases for the San Fernando PD. After Bosch leaves, Ballard takes a look at the file, detailing the unsolved 2009 murder of Daisy Clayton, a 15-year-old runaway. The slain girl was the daughter of a recovering addict, who has been taken in by Bosch. Ballard is hooked, and begins working the case with Bosch. Meanwhile, Bosch’s investigation into another cold case, the execution-style killing of a 52-year-old gang leader, has put the detective squarely in the sights of Varrio San Fer 13, one of the valley’s most violent gangs. Bosch and Ballard, both outsiders with complicated pasts, form a perfect partnership in this high spot of Edgar-winner Connelly’s long and distinguished career. 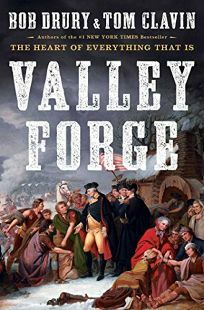 This gripping, panoramic account of the Continental Army’s 1777–1778 winter encampment at Valley Forge charts, in lively language, the decisions that allowed the American Revolution to survive. George Washington’s ragtag troops had fled the pursuing Redcoats to Pennsylvania, and the Continental Congress was sheltering in York, Pa., after the British occupied the revolutionary capital, Philadelphia. Vicious budgetary squabbles, corruption, and military rivalries proved almost as dangerous to Washington’s army as the British. Judicious excerpts from the diaries of enlisted men and officers elucidating the squalid misery and deprivation at Valley Forge nearly waft off the page. But, Drury and Clavin recount, Washington turned the Revolution around. The battles, politics, and diplomacy that kept Washington’s troops from faltering—the Battle of the Brandywine and skillful handling of French volunteers—are lucidly recounted. There are valuable insights, too, into the strategic thinking of British general William Howe and admiral Richard Howe, the aristocratic brothers charged with putting down the rebellion. As the authors sketch out the dizzying array of obstacles Washington faced, the reader gains an appreciation for the genuinely heroic role he played in the founding of the United States of America. The legendary crooner segues from edgy jazz singer to national paterfamilias in the second volume of Giddins’s scintillating biography. Jazz journalist and scholar Giddins (Satchmo) revisits the WWII era, when Bing Crosby was at the height of his popularity with a radio show, chart-topping records like “White Christmas” (still the world’s all-time bestselling single), a string of hit movies from the cutup comedy Road to Morocco to his classic turn as Father O’Malley in Going My Way. He also performed at innumerable USO gigs for the troops, including a show on the frontline during which his audience was called away to repel a German attack. He became, Giddins argues, a new paradigm of American masculinity: manly, down-to-earth, easygoing, unflappable, and a comfortably reassuring pillar of faith and family in chaotic times. (Crosby hid the dysfunctions in his own family, including his wife’s alcoholism and depression and his own harsh parenting style, which featured occasional beatings of his sons with a metal-studded leather belt.) Giddins packs exhaustive research and detail into his sprawling narrative while keeping the prose relaxed and vivid, and sprinkles in shrewd critical assessments of Crosby’s music and films. 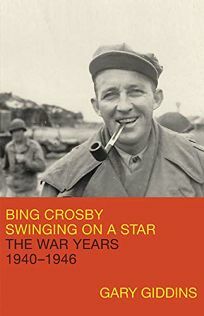 Crosby emerges as an aloof, cool cat, and Giddins’s engrossing show-biz bio richly recreates the popular culture he helped define. 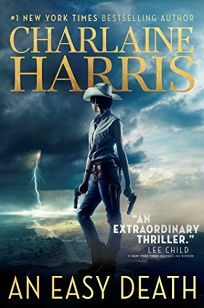 In a bleak alternate history of what’s left of a broken-up United States after Franklin Roosevelt is assassinated—where poverty is rampant and magic is real but not widely accepted—Harris (the Midnight, Texas series) tells the harrowing story of a young bodyguard, Lizbeth “Gunnie” Rose, whose job is to keep others alive. After her team and closest friends are killed in a mission gone wrong, Rose is forced to move on for the sake of survival, even if it means taking a gig protecting those she’s spent her life hating: two Russian wizards, or grigoris, who have come to town looking for another wizard. She tells them he’s dead, but doesn’t mention that she killed him—or why. It’s not until she’s too deep into the search for his brother that she finds out her own life is in danger: these wizards are more hunted than they realized, but she may be the one the hunters really want. In this fast-paced thriller fueled by magic and gunslinging, no one can be trusted. Harris’s vividly detailed story will leave readers enthralled with the fascinating setting and a heroine who’s sure to be a new fan favorite. America is the land of runaways from colonial tyranny, according to this stimulating history of Jamestown. College of Charleston literature professor Kelly (America’s Longest Siege) recounts the tumultuous five years after the 1607 founding of Jamestown, Va., England’s first permanent colony in America. For ordinary settlers, he writes, it was a time of bitter hardship and virtual enslavement to upper-class soldiers and officials of the London-based Virginia Company, led by Capt. John Smith, a swashbuckler trying to conquer the empire of Native American potentate Wahunsonacock, father of Pocahontas. Amid famine and race war, as starving Englishmen deployed fire and sword to extract corn from Native American villages, Kelly highlights settlers who defied company edicts, escaped the Jamestown gulag, and lived peacefully among the natives. 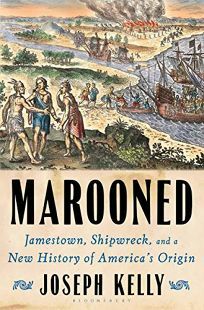 He entwines that saga with the story of a group of Jamestown settlers shipwrecked in Bermuda, who wanted to overthrow the despotic company governor marooned with them and establish an ur-Jeffersonian protodemocracy. Kelly sets this gripping narrative against an intelligent discussion of sociocultural context, ranging from political philosophy to Shakespeare’s The Tempest. 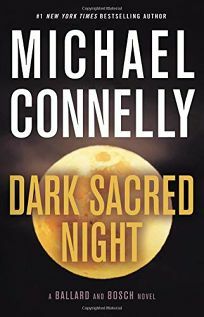 He occasionally indulges in rebel romanticism, finding the “real origin story” among “the diggers-up-of-roots, the card players, the fornicators,” but he paints a superb portrait of the founding, combining brilliant detail with epic sweep. In this surprisingly sweet and quietly melancholy short novel, King (The Outsider) weaves an eerie, charming tale of the ways that strange circumstances can bring people together. Scott Carey is losing weight, but not mass, and there’s no scientific explanation for it. Scales register him as lighter and lighter, though his body remains as potbellied as ever, and the effect is constant regardless of what he’s wearing or holding. Shaken by his untreatable, supernatural ailment, Scott begins to notice the world around him—and particularly becomes aware of the nasty prejudice that other residents of Castle Rock, Maine, are inflicting on his lesbian neighbors, Deirdre and Missy. He sets out to fix the injustice ailing their small town, and maybe make some friends along the way. This is a lilting ode to the ineffable power that crises hold to change and mold those involved into something new. King’s tender story is perfect for any fan of small towns, magic, and the joys and challenges of doing the right thing. 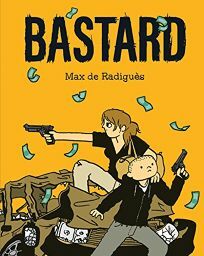 This economically told graphic novel examines the strength of maternal love and the tribulations of childhood through the lens of crime fiction. After having been involved in a historic series of thefts that unexpectedly veered into murder, young mother May flees the “wolf pack of criminals” that she was involved with, toting along her preteen son, Eugene, and several duffel bags loaded with cash. After altering their appearances, the unlikely Bonnie and Clyde’s road trip brings them into contact with a former businessman turned vagabond trucker, as well as ruthless killers and an idyllic commune of senior citizens and Native Americans in New Mexico. Radiguès (Weegee) deploys a sparse visual style that imparts a childlike perception of the events while keeping the reader invested with his handling of the tender relationship between May and Eugene. Though May is a career criminal and Eugene was raised in her culture of lawlessness, their bond is as undeniable as it is touching. Rich in storytelling despite its deceptive simplicity of style, the surprising plot twists and character development make this a must-read. This dark, disturbing, and powerful novel from Revueltas—who wrote it while imprisoned as a political dissident in Mexico’s infamous Lecumberri prison—tells the story of three prisoners trying to smuggle heroin into their prison. 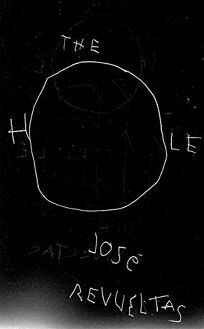 Unfolding in a cascading single paragraph that captures the progression of the plan in real time, the story opens with Polonio looking out through a small hole in his cell, awaiting the arrival of three women with his two cellmates, Albino and the Prick. One of the women is the Prick’s mother, who has the drugs hidden in her person. The other two women—Polonio’s girlfriend, La Chata, and Albino’s girlfriend, Meche—are younger and are to distract everyone while the mother hands over the heroin—at least that’s the plan. 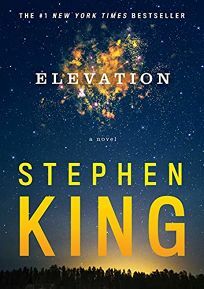 What happens instead is that everything goes wrong, the dissolution of the doomed plan comprising the book’s nightmarish and unforgettable ending. The book is packed with memorable lines and sensory observations. The Prick’s addiction is described as “a faceless white angel leading him by the hand through rivers of blood”; at one point, Polonio’s jealousy is so overwhelming that he feels “a kind of incapacity for existing in his own space”; Albino has a hypnotizing stomach tattoo of a copulating couple that he can activate with his muscles. 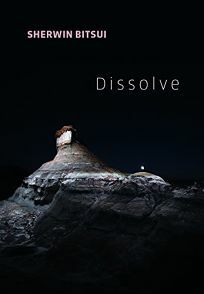 Revueltas’s short novel has the force of a tidal wave. 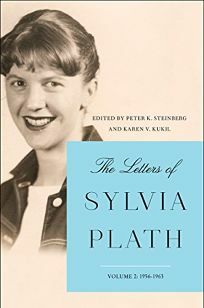 Completing the monumental task of collecting all of Plath’s known and available letters, this volume goes from her 24th birthday in October 1956 to a week before her suicide, at age 30, in February 1963. Opening on a young writer determined to publish and a deliriously happy newlywed gushing about her husband, fellow poet Ted Hughes, the book follows Plath as she finishes her Fulbright at Cambridge; teaches for a year at her alma mater, Smith College; and then returns to England to settle into a country house in Devon. The collection is mordantly fascinating as it reveals a brilliant, complex woman trying to carve out her own time for writing in between secretarial tasks for her husband (she typed his manuscripts), caring for their two children, and housework. The book becomes downright agonizing after Hughes leaves her and Plath is left fighting “the return of my madness,” even as she produces her best work, the poems comprising the collection Ariel, with a feeling of “writing in the blitz, bombs exploding all round.” Unobtrusively edited and scrupulously footnoted, this set of letters is a dazzling literary achievement, capturing the tender beauty of Plath’s richly lived, too short life. 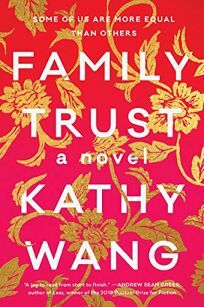 A Taiwanese-American family faces the realities and indignities of living in Silicon Valley in Wang’s astute debut. Stanley Huang is dying of pancreatic cancer and his reassurances to his family about his millions in savings are falling on increasingly suspicious ears. His first wife, Linda, received nearly nothing in her divorce and is determined that her children have more financial support than she received. As Stanley’s health deteriorates, his far younger second wife, Mary Zhu, becomes frustrated with caring for him. Meanwhile, Stanley and Linda’s son, Fred, toils as a middle manager in an investment firm and waits for a promotion that will surely make his career. Their daughter, Kate, suffers under a high-maintenance boss at a multinational tech company and has two young kids and a husband who works at a start-up that hasn’t started up. Everyone in the family agrees: the money Stanley has vaguely promised them would be a huge relief. But as they attempt to secure their inheritances, questions emerge: How much of Stanley’s respect have their loyalties and successes won? Who is acting in Stanley’s best interest? And what will life look like after Stanley dies? The author brings levity and candor to the tricky terrain of family dynamics, aging, and excess. Wang’s debut expertly considers the values of high-tech high society.